A.B.Y and Poetik Justis just dropped a major banger reminding everyone what is the meaning of a collective and also introduce the viewers to the Dharavi Project. Slumgods has been affiliated with many accolades and especially those which have a social origin. A.B.Y and Poetik Justis rap in Hindi and English respectively and perfectly balance each other and have a groovy flow. 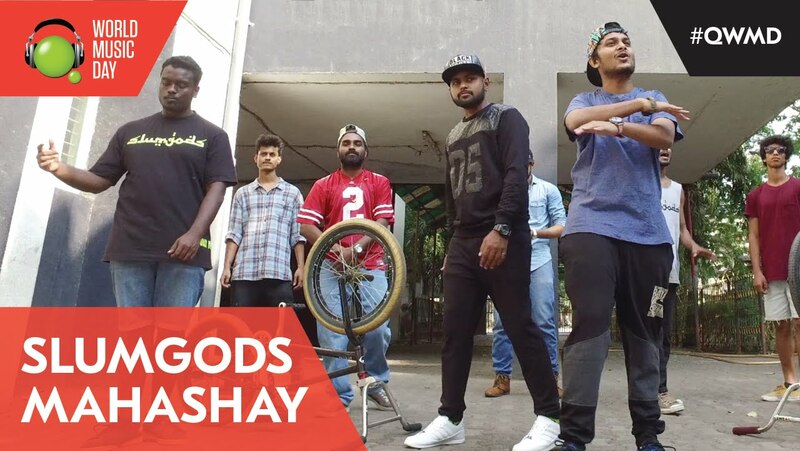 The video features several members of the collectives including b-boys, graffiti artists, kids stunting on cycles who are all a part of the biggest hip-hop collective in India. The instrumental is also banging and suits the type of ambiance been made with the lyrics, it is made by Keshav Pandya , Raaghav Pandya X HHB. The chorus contains vocals sampled from Benny Dayal while he performed in GIMA 2015. There are several Hip Hop collectives now in India but Slumgods is probably one of the pioneer crews if not the first crew. This track is definitely a message for something huge to come and we just like you will keep our eyes and ears open for more.